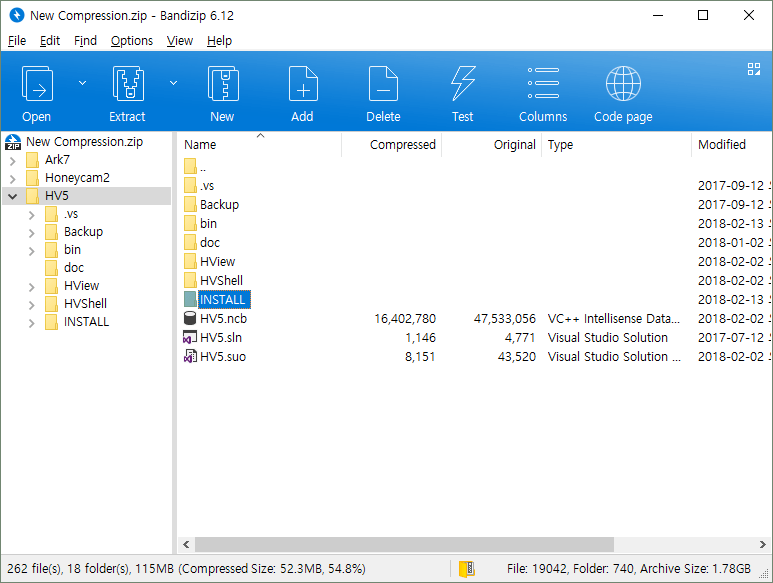 7-Zip is an archive manager that can view and create a wide variety of formats. The program includes folder favorites, optional two-pane view, checksum calculator, file split/combine capability and more. Individual archives can be created with high speed or high compression settings, update options (including update, add/replace, synchronize), split volumes and more. Archives can be secured with standard zip or more secure AES encryption. Although the official archiver for the open, high-compression "7z" format, the program also supports the creation of multiple formats including ZIP, XZ, BZIP2, GZIP, TAR and WIM. It will extract a long list of other formats, among them RAR, CAB, ISO, ARJ, RPM, VHD, VMDK etc. Even more formats are supported through third-party plugins. Supports 80+ world languages. 7-Zip Portable is a wrapper from PortableApps.com, auto-detecting 32 or 64-bit automatically. Alternatively, X-7zip is also available. How to extract: Download the self-extracting EXE and extract to a folder of your choice. Launch 7-ZipPortable.exe. PortableApps.com came out with v18.06 yesterday. 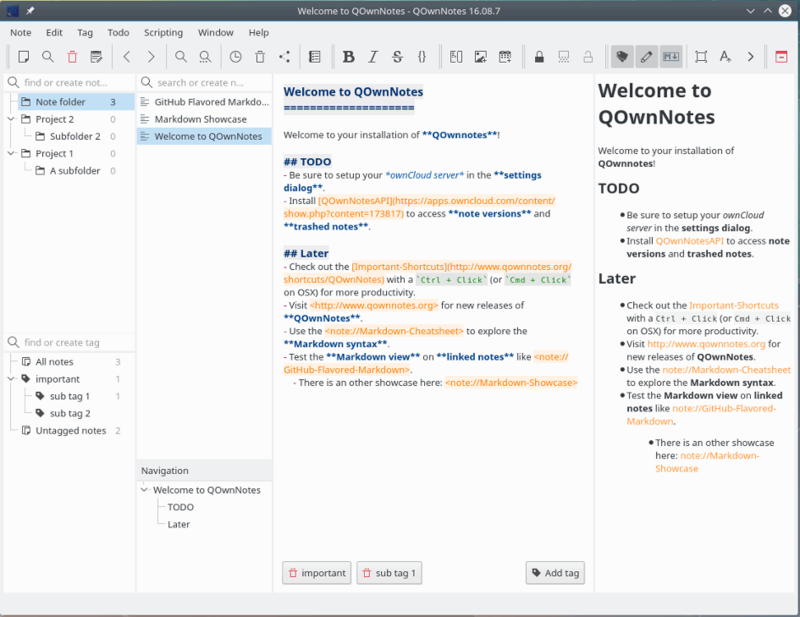 StackNotes is a note-taking application to record notes and todo lists. The first line of each page is used as the Table of Contents entry and pages are automatically saved whenever you browse through your notes. Features drag-and-drop, priorities, TOC search, find and replace, built-in help, desktop locations and taskbar tray. Each page can contain up to 32K of text (roughly 5,000 words). How to extract: Download the ZIP package and extract to a folder of your choice. Launch StackNotes.exe. Better report your problems at the forum, the developer usually responds to bug reports and other issues. Of course you are not dumb. 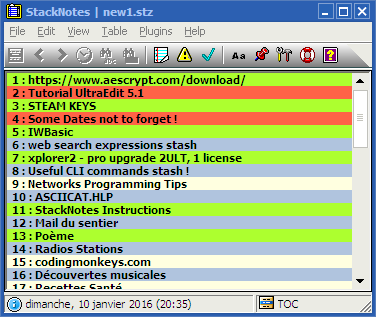 Did you change the initial location of StackNotes folder- it remembers the location of the last used file. "This file may contain malware and the automatic download has been disabled." Message from SourceForge when trying to download. Software is certified by SoftPedia as beeing "Clean of virus, spywares, adwares". The reason why it was reported as beeing "potentially malicious" at SourceForge was due to the AES encryption command line tool included with the package. This tool is no more distributed with the package and can optionnaly be downloaded from the "AES Crypt" website if needed. You can post questions, requests or discuss anything on the forum here : https://www.portablefreeware.com/forums/viewtopic.php?f=4&t=22131. If you happen to find a bug, please send me a mail; thank you ! Can't find what you are looking for? This list shows entries with Security - Encryption/Decryption as a supplementary function. You can view more entries with Security - Encryption/Decryption as a primary function.